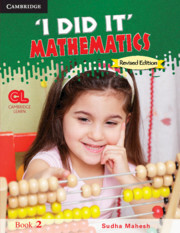 The revised edition of IDIM is a carefully-graded and activity-based mathematic series for classes 0-8. The revised edition of ‘I Did It’ Mathematics is a carefully-graded and activity-based mathematics series. 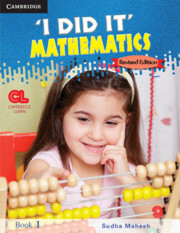 The aim of this series is to make the learning of mathematics a thoroughly enjoyable experience. The series conforms to the vision of the National Curriculum Framework. The revised edition of the series ‘I Did It’ Mathematics offers enhancements that facilitate the learning of mathematical concepts. It provides plenty of opportunities to explore concepts through individual and collaborative work. The series will also cater to Multiple Intelligences and hence will give students opportunity to learn in the manner that is best suited to them.